Jerald Edward Cabales and Victoria Noel Stapleton will wed on Dec. 27 at the Powell Crosley Estate in Sarasota, Florida. 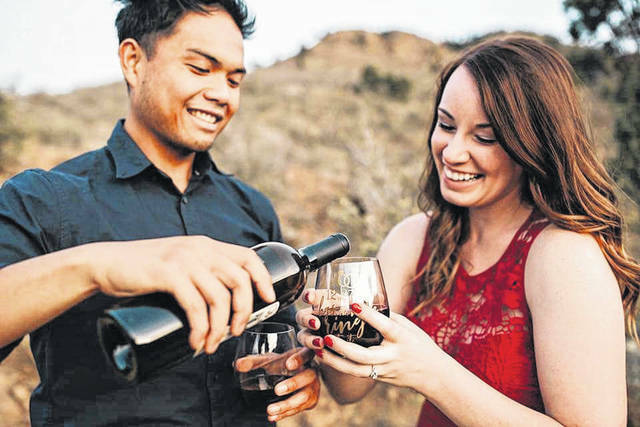 UNION – Steve and Diana Stapleton of Union are pleased to announce the engagement of their youngest daughter Victoria Noel Stapleton to Jerald Edward Cabales. Jerald’s parents are Ed and Grace Cabales of Miami, Florida. Victoria was home educated, attended Sinclair College (Associate Degree) graduated from Cedarville with her BSN and is now working as labor and delivery nurse at Miami Valley Hospital. Gerald graduated from Miami Killian Senior High School, attended college at Philadelphia University and received his Bachelor’s degree in Textile Materials Technology. The couple is having a destination wedding, which will take place on Thursday, December 27 at 3 p.m. at the Powell Crosley Estate in Sarasota, Florida.